Signor Fabio doesn't think it will take long. The new Italian government, he believes, is destined for a brief tenure: "In September, we will be voting again," says the slender man in the center of Rome. Signor Fabio is the giornalaio -- or newsstand proprietor -- with the most attractive kiosk location in the capital, situated as it is fewer than 100 meters from the prime minister's office. He knows what's going on in the world and that people are once again looking to his homeland with concern. "Rome Opens Its Gates to the Modern Barbarians," was the headline chosen by the Financial Times 10 days ago in an editorial about the new government, which pairs the Five Star Movement (M5S) under the leadership of Luigi Di Maio with the right-wing nationalist party Lega, led by Matteo Salvini. But Italian papers weren't any less critical. The daily Il Manifesto went with the headline "Populandia," in reference to the populist natures of the two parties. "The Third Republic Is Formed as the Whole World Laughs," wrote Il Foglio. And Libero wrote: "Mattarella Chooses the Rotten Apple: Mini-Premier Conte." The latter is a reference to Salvini's and Di Maio's inability to agree on which of the two should become prime minister, so they chose the completely inexperienced law professor Giuseppe Conte. 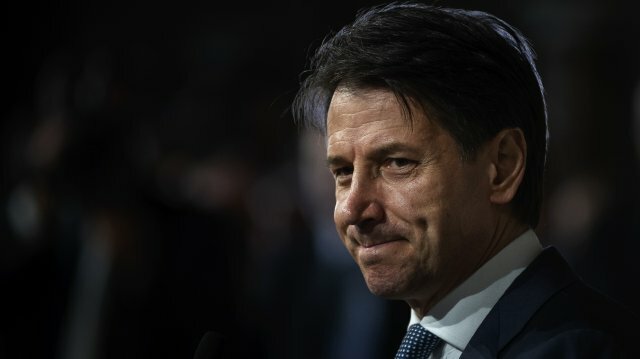 While he is closely connected to the Five Star Movement, Conte has never held public office -- and now he is being asked to lead Europe's third largest economy, with a population of 60 million people. This government, the 67th in the last 70 years, is perhaps the most unusual and least experienced of them all. At the top are two populists who are critical of the EU and friendly to Russia, two coalition partners who share few joint political goals and whose supporters hate each other. The one party, Lega, draws the majority of its support from the wealthy north while the other, M5S, has its roots in the comparatively poor south. "It's like if Germany were governed by Sahra Wagenknecht (from the Left Party) and Alexander Gauland (from the right-wing populist Alternative for Germany)," says Markus Ferber, vice-chair of the Committee on Economic and Monetary Affairs in European Parliament and a member of German Chancellor Angela Merkel's Christian Democrats. The difference being, of course, that Italy holds 2.3 trillion euros in sovereign debt, the equivalent of 132 percent of its gross domestic product -- a debt ratio that is only exceeded within the EU by Greece. In addition, the country is still suffering from the consequences of the financial crisis, including high unemployment, particularly among young people, and it is struggling to deal with the strain of the thousands of migrants who are still streaming across the Mediterranean to Italy. The country has been among the EU's problem children for years. As such, the election victory by the populists is hardly surprising, rather it is the logical consequence of the problems facing the country. But at the same time, it has the potential to make those problems much worse. To satisfy the desires of their vastly different constituencies, Salvini and Di Maio included tax cuts, a minimum basic income and the retraction of the recently passed pension reform in their coalition agreement. According to the calculations of Carlo Cottarelli, a former director of the Fiscal Affairs Department, these measures will cost at least 109 billion euros per year. Jörg Krämer, chief economist at Germany's Commerzbank, warns that if the new government pushes through its proposals, the country's budget deficit, which currently stands at 2.3 percent of GDP, would spike to fully 7 percent. The two parties refer to their coalition agreement as the "Contract for the Government of Change," but in actuality, it is a blueprint for destroying state finances. And the consequences for Europe will be impossible to ignore. "The eurozone is threatened by a new crisis," says Clemens Fuest of the Center for Economic Studies in Munich. Concern is particularly high in Brussels, but officials there are avoiding direct criticism for the time being, likely in the hope that things won't ultimately turn out as bad as expected. At an economics conference on Thursday, European Commission Vice President Valdis Dombrovski was asked if the new government's program would comply with the Stability and Growth Pact, one of several questions about Italy. The Latvian looked visibly uncomfortable before finally replying: No, probably not. He added that he is particularly worried about rising risk premiums on the bond markets, a trend that has also affected other weaker eurozone member states. The prospect of countries not acting responsibly when it comes to fiscal policy has consequences, he said. It is important that all member states adhere to the rules that have been agreed to if they are part of the common currency area, he added. French Economics and Finance Minister Bruno Le Maire is more direct. "If the new government takes the risk of not respecting its commitments on debt and the deficit ... the financial stability of the eurozone will be threatened," he told French broadcaster CNEWS last Sunday. Indeed, even if the EU and the euro might have been able to withstand Grexit, an Italian departure from the common currency zone would likely be its death knell. Italy's economic output is almost 10 times higher than that of Greece. "Given its systemic importance, the Italian economy is a source of potential spillovers to the rest of the euro area," the EU warns in its most recent set of country-specific recommendations released on Wednesday of this week. The recommendations, which are issued at regular intervals, recognize the efforts thus far undertaken by Italy to reduce its debt levels, but those efforts were all the product of the previous government. The new powers-that-be in Rome have left no doubt that they intend to focus their attentions elsewhere. EU laws, says Lega head Salvini, will only be respected in the future if they are beneficial to Italy. And Di Maio of the Five Star Movement adds: "Starting now, the Italians come first and only then the negotiations about the deficit and EU rules." Giuseppe Conte has been chosen to become Italy's prime minister despite never before having held a public office. That approach is consistent with the intention to appoint 81-year-old economics professor Paolo Savona as economics and finance minister, a man who is considered a fierce critic of the euro. Savona's new book, "Like a Nightmare, Like a Dream," will soon be hitting the shelves. In it, he writes: "The euro is a straightjacket produced in Germany." Berlin, he continues, "hasn't changed its view of its role in Europe since the Nazi era." Membership in the common currency area, Savona writes, "involves fascism without dictatorship and, from an economic perspective, a form of Nazism without militarism." One wonders whether the aging academic from Sardinia will repeat his verbose criticisms when he sits down with his German counterpart Olaf Scholz at the next European Union summit. Di Maio's people, of course, are doing their best to assuage fears of megalomaniacal populists driving Italy, a founding member of the EU, over a cliff. "We are in constant contact with the U.S and German embassies and we value complete transparency," says one of Di Maio's closest confidantes. But such words are cold comfort. The advance of the populists, after all, is coming at a difficult time for the EU. The block is still enjoying solid economic growth, but a potential trade war with the United States is looming and the consequences of Brexit must likewise be overcome. A rekindling of the European trench political warfare that accompanied efforts to save Greece would be devastating. Exactly that, though, appears to be on the horizon. In the French elections one year ago, the feared victory of extremist, anti-Europeans did not come to pass. But right-wing populists are nevertheless on the march. They are the most powerful opposition party in Germany, they are part of the government in Austria and now they have joined the Italian government. "Our allies," said Marine Le Pen, the head of the French right-wing party Front National, "are laying the groundwork for the great comeback of nation-states." Italy will "become the leader of Europe's populist, anti-establishment movement," says Steve Bannon, Donald Trump's former chief strategist, who is expected in Rome on Sunday. It marks the first time that Brussels will have to contend with an anti-system government in one of the EU's founding countries. Bannon is excited about the triumph of Di Maio and Salvini, who are demanding that sanctions against Russia be wound down. "It's very important for these guys to be very aggressive about confronting Brussels," Bannon told the Washington Post this week. Such an approach would almost certainly be popular in the country, where only 39 percent of Italians view the EU positively -- not a good sign in what was once the most pro-EU country in the block. Part of the country's frustrations with Brussels stems from the feeling of having been left alone to deal with the Mediterranean migrant crisis. In addition, many voters who have suffered from years of recession see the warnings from Brussels as heavy-handedness. The fact that Italians, who traditionally have a high rate of savings, stand to suffer significant losses should the country withdraw from the eurozone is something neither M5S or Lega have addressed. The parties have also remained silent about the European Central Bank strategy -- pursued by its Italian president, Mario Draghi -- of buying hundreds of millions of euros worth of Italian sovereign bonds to prop up the country's economy. On the contrary: an early draft of the coalition agreement demands that the ECB forgive 250 billion euros of debt. "Fantapolitica," is the term that reasonable Italians have adopted to refer to such demands: "fantasy politics." As it currently stands, Italy requires 200 billion euros of fresh borrowing each year to service old debts, says Klaus Regling, head of the European Stability Mechanism (ESM), the eurozone's bailout fund. The fund has immediate access to 400 billion euros, meaning it could finance Italy for two years if need be. But only if no other eurozone country falls victim to the turbulence such a crisis would no doubt trigger. But exactly that scenario is what has many people concerned, with pressure on Spain and Portugal likely to increase. The two countries have, to be sure, made progress in cleaning up their state finances, but they are still vulnerable, and their debt loads remain high. Even if the Italians don't proactively cease servicing their debts, they could still face trouble. Credit rating agencies already hold a dim view of Italy. Were they to downgrade Italy two additional levels, Italian bonds would reach junk status, meaning that many investment funds would be forced by their own regulations to dump them. If mistrust and interest rates rise, Italian banks could once again find themselves in a dire situation. In the last 12 months, they have managed to reduce their risk exposure, but they are still sitting on billions of euros in bad loans. If the new government chooses to ignore these risks, the situation could rapidly spiral out of control. Already, the interest rate difference between Italian and German sovereign bonds -- the so-called risk premium -- has risen significantly. In recent weeks, it has climbed by almost an entire percentage point. The difference reflects the higher risk of default for Italian bonds. Investors are only prepared to loan more money to Italy if they receive higher interest rates for their troubles. Back in February, hedge funds already began speculating on falling European stock prices on the assumption that an anti-EU government in Rome could fragment the currency union. Bridgewater Associates, one of the largest sharks in the tank, placed a $22 billion bet against European stocks. The most recent wave of Italian sovereign bond sales was also likely driven by hedge fund speculation. There is significant concern in many European capitals that the Conte government might operate under the assumption that Italy is too large and important for Europe to allow it to slide into bankruptcy and that European institutions would ultimately jump in to bail the country out. After all, roughly a third of Italy's sovereign debt is held by foreign investors -- a total of almost 800 billion euros. If a 50 percent debt haircut came to pass, as was done in the case of Greece, banks, insurance companies and pension funds would be forced to forego claims to 400 billion euros. "The economic situation in the country has been highly explosive at least since the 2008 financial crisis," says Henrik Enderlein, an economist at the Hertie School of Governance and an advisor to the German government. "But now a government is coming to power that is like a burning match and which could result in the situation getting out of control." The only thing left is to hope that this government of post-ideologists and right-wing populists will ultimately see the light -- just as Alexis Tsipras did not long ago in Greece. "Leaving the common currency would be the worst-case scenario for Italy," Enderlein warns. The country would sink into economic insignificance, he says, not unlike Argentina after its 2001 collapse. European hopes are primarily focused on one person: Italian President Sergio Mattarella. "He will make sure that the new government adheres to European rules," says a Brussels diplomat. For most of the last three months, the 76-year-old lawyer has been patiently seeking to enable the assembly of a stable government and avoid new elections. And there is nothing he has left untried. He even held a face-to-face with Silvio Berlusconi, the man who paved the way for the rise of the populists and who led Italy into the crisis. Finally, though, the current coalition took shape, even if it looked for a time as though it was hopeless. But even if Mattarella can prevent the worst -- by refusing to sign certain laws, for example -- he cannot prevent the political uncertainty from blocking a central EU reform project, that of reforming the economic and currency union. Currently, Europe is waiting for the German response to French President Emmanuel Macron's proposals, which he delivered eight months ago in a speech at the Sorbonne. Macron would like to see a joint eurozone budget and a common deposit insurance regime, among several other ideas. "The current developments in Rome are the death blow to Macron's reform agenda," says Commerzbank chief economist Krämer. Every step toward the collectivization of risk or debt, he says, "would be an open invitation for Italy to spend even more." Even if Macron is now carefully choosing his words and repeatedly saying he respects "the decision of the Italian people," developments in Italy are, in fact, a significant setback for him and his reform proposals. He is caught between a Berlin that cannot seem to make up its mind and a Rome that is deeply skeptical of the EU. Realizing a vision of a unified, strong Europe won't be easy with partners like that. Concern is growing in the Élysée Palace in Paris that Europe is facing its next significant crisis and Macron, instead of pushing through his reform plans, will be forced to spend his time on damage control, not unlike his predecessors. "Salvini and Di Maio won't achieve anything for Italy, but they will be in a position to completely block Europe," says one of Macron's advisers. The term "crazy," the adviser says, would be a polite way of describing the new Italian government's program. The concerns are justified, particularly given the enormous resistance against Macron's reform plans that already exists in German parliament. One element of those plans that is controversial is the "common backstop" envisioned as part of the banking union. The banking union envisions shareholders and creditors initially being made liable in the event of a bank collapse. Now, though, the use of the backstop -- public money -- is under discussion for extreme cases in which the costs of winding up a failed bank cannot otherwise be covered. German politicians and others who oppose Macron's vision fear that savings account holders could ultimately be made to pay for financial institution bankruptcies in countries like Italy. This fear has not been reduced by the anti-European rhetoric currently coming out of Rome. Indeed, the situation in Italy is not a good omen for the EU summit at the end of June, where heads of state and government intend to discuss a deepening of the eurozone. Yet despite all of the justified concerns, it is also true that the coalition in Rome hasn't actually entered office yet. The alliance with the aggressively anti-immigration party Lega is a controversial one within the Five Star Movement. "We have lost a few supporters along the way," admits a spokesman for Di Maio. Furthermore, their parliamentary majority is just 30 seats. That isn't much in a lawmaking body in which 206 representatives changed parties in just the last legislative session. And should the new government suffer a premature demise -- a fate which, Silvio Berlusconi insisted last week at the European People's Party summit in Sofia, is one he would certainly hate to see -- then the former Italian prime minister, now 81 years old, has a couple of thoughts on what should happen next. In a good mood due to the recent decision by an Italian court to lift the ban on him holding public office, Berlusconi said he would be happy to do all it took to prevent a state crisis in Italy. And he would of course be prepared to "take on responsibility." JOHN KENNETH GALBRAITH, a quotable economist, observed that one of the deeper mysteries is why, in a falling market, there is still a buyer for every seller. It is a conundrum that bond investors must now contemplate. Since January the yield on a ten-year Treasury bond has risen (and thus bond prices have fallen) with scarcely a backward step. It is above 3% for the first time in years. In part, the fall in bond prices reflects a growing acceptance that the Federal Reserve will raise short-term interest rates to 2.75-3% by the end of 2019, as its median rate-setter expects. In part it reflects worries that tax cuts and rising oil prices will fuel higher inflation. And there is anxiety that the supply of Treasuries is about to increase (in order to pay for tax cuts) just as buyers may become scarcer. The Fed itself is running down its holdings. The higher cost of hedging currency risk in dollars is putting off some foreign buyers. If sellers outgun buyers, prices will continue to fall. Who then will buy? Actually, there is a large class of investors for whom long-dated Treasuries have an almost unique virtue. It may even include people who believe that 3% is far too low for a sensible long-term interest rate. It consists of holders of other, riskier assets, such as stocks, houses or high-yield corporate bonds, who wish to hedge against falling prices in the event of a recession. There are other ways to insure against a crash than buying bonds. You might buy Japanese utilities—“the most boring stocks in the most defensive currency”, says Robert Buckland, a strategist at Citigroup. For investors willing or able to take a short position (ie, to sell borrowed assets in the hope of falling prices), Andrew Sheets of Morgan Stanley suggests an index of junk-rated property bonds, the price of which may not rise much further in a growing economy but would fall fast in a shrinking one. Still, buying Treasuries is less fiddly for no-nonsense investors. And this insurance policy pays 3% a year. Yields on government bonds now compare favourably with the paltry dividend yields on stocks or with rental yields on prime city property. But why buy a volatile ten-year (or nine-year) bond with a mere 3% yield? Why not instead buy a two-year Treasury, yielding 2.6%? That is a slightly lower return, but a surer bet. After all, securing good returns with the lowest risk is supposed to be the art of investing. The answer is that long-dated bonds offer the prospect of a bigger capital gain should recession strike. The chart explains why. It shows the relationship between price and yield for a two-year bond and a nine-year bond. 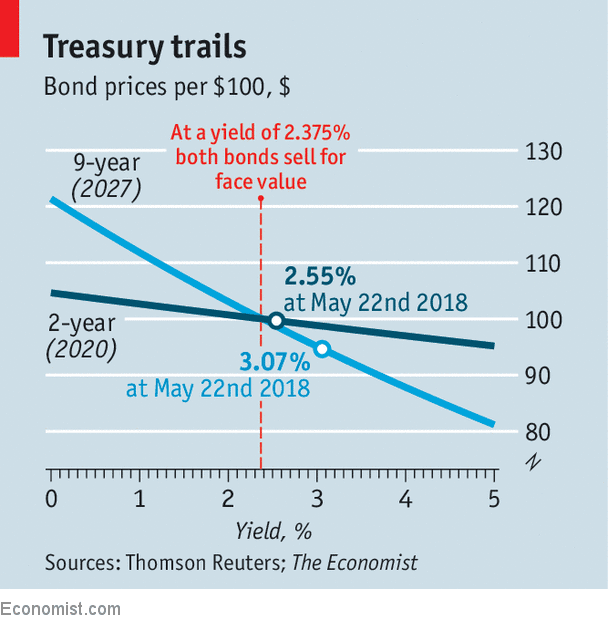 The slope of the line—how much price changes as interest rates rise or fall—is much steeper for the nine-year bond. That is because a change in interest rates must be discounted over a longer period than for the two-year bond. The gradients of the two lines are determined by each bond’s “duration”. This is a measure of the bond’s lifespan, which takes into account that some of what is due to bondholders (the annual interest) is paid before the principal is paid back on maturity. The duration for the 2027 bond is 8. So for every one percentage-point change in interest rates, its price changes by 8%. The two-year bond offers a narrow sort of diversification. A true diversifier pays off when you really need it—when trouble strikes. In bad times the scope for fiscal stimulus in America would be limited by an already large budget deficit. The Fed would cut short-term rates, perhaps to zero. It might start buying bonds again. Investors would rush to the safety of Treasuries. Ten-year yields could plausibly fall to 1% or so. Those who had bought at yields of 3% would secure a 17% capital gain. Not only would that cushion a fall in the price of stocks, it would provide the means to buy them while they are cheap. In a world without mystery, buyers of bond insurance would wait until prices stopped falling. A few investors may be able to sense the bottom of a market, but it would not be wise to assume you are one of them. If ten-year yields rise by half a percentage-point, it would mean a capital loss of around 4% but the 3% interest would almost offset it. A net loss of 1% is not a terrible price to pay for insurance. If yields go a lot higher, the losses would be greater, of course. A surge above 4% might well prompt a brutal repricing of stocks, property and other long-duration assets. Bond losses might be tolerable by comparison. Yet there is also good reason to think that a further rise in bond yields will be self-limiting. A debt-ridden world cannot sustain high interest rates for long. Perhaps long-term interest rates will move a lot higher over time. But they will probably fall again first. PARIS – Europe has a new German problem. Unlike in the past, it stems neither from hegemonic ambitions nor from the sort of weakness that might tempt aggression. Instead, it is rooted in Germany’s abdication of any sense of shared responsibility for Europe, despite boasting as robust an economy as it has had since 1945. The result of Germany’s approach – “do as we do, or leave us alone” – is inertia, at a moment when Europe desperately needs momentum. For a long time, Europe was at the center of German concerns. In 1994, for example, Wolfgang Schäuble – then parliamentary leader of the Christian Democratic Union, and now President of the Bundestag – and his CDU colleague Karl Lamers wrote a paper calling for the EU’s “core” countries, including France, to move swiftly toward closer integration, including political union. France resisted German pressure because it was extremely suspicious of political federalism. Then-president François Mitterrand did not want to move beyond the Maastricht framework. After the 2010 eurozone crisis, the debate shifted toward structural reforms. 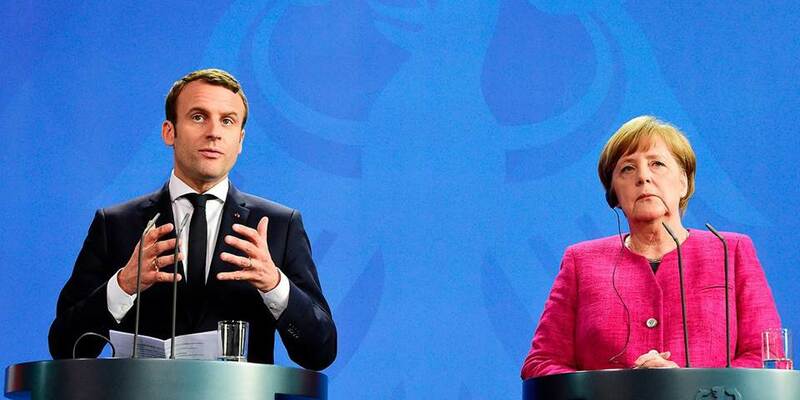 France advocated for more economic integration, but Germany conditioned any discussion of the eurozone’s future on French structural reforms. President François Hollande agreed in principle to that trade-off, but lacked the time and political support to implement it. Today, however, France is finally undertaking Germany’s long-expected domestic reforms – and pressing for change at the EU level. French President Emmanuel Macron wants to create not a federal Europe – nobody is proposing that – but a sovereign EU capable of resisting the pressure of figures like US President Donald Trump, Russia’s Vladimir Putin, China’s Xi Jinping, and Turkey’s Recep Tayyip Erdoğan. Unfortunately, Germany is once more resisting French proposals. Though Chancellor Angela Merkel often lavishes Macron with praise for his courage and policy goals, she seems reluctant to agree to any action to strengthen the EU. German leaders concede that French reforms are good for France, but now argue that eurozone reform is a separate issue. Although disappointing, this stance is not unexpected. Merkel is politically weakened, and German public opinion remains deeply influenced by the false narrative that the country is Europe’s paymaster. Schäuble, a former euro federalist, has scaled back his ambitions dramatically. While he still dreams of a European Monetary Fund, it would only resemble a solidarity mechanism. Its main purpose would be to monitor and punish fiscally lax states for the purpose of reducing further the European Commission’s budgetary oversight responsibilities. The truth is that Germany aspires to live in a minimalist Europe that lacks any political union, but is tied to intergovernmental disciplinary mechanisms designed by its most prosperous countries. In other words, Germany wants to eliminate from the EU all traces of community spirit, and the politics that go with it, and replace them with an austere idyll of rigid rules. And current events in Italy are reinforcing the position of German hardliners. It is probably no coincidence that three days after the new Italian government revealed its economic plan – which, if implemented, will blow up the eurozone – 154 German economists published a manifesto strongly opposing any substantial eurozone reform. But this stance also reflects the so-called ordoliberal principles that underpin German thought and that shape Germany’s understanding of the eurozone crisis. Along with the Netherlands and the Baltic states, Germany blames that crisis on some member states’ budgetary imprudence and insufficient monitoring of private debt, and thus refuses to examine properly the eurozone’s systemic problems. Eight years later, Europeans still embrace divergent narratives about the crisis. How can we expect them to move toward the future if they strongly disagree on the past? To acknowledge that the eurozone can function only on a foundation of solidarity and interdependence would be to engage in precisely the kind of thinking that German ordoliberals have always rejected. They see the national economy as the sum of microeconomic decisions, and a supranational economy as the sum of national economies. For them, solidarity is founded on consistent management. This reasoning leads to three lines of argument that preclude basic strategic analysis. Second, Germany insists that any slowdown should be met with greater discipline and tighter austerity, not countercyclical policies. According to German leaders, no matter how severe the effects of that approach may be, they are simply the price of redemption after committing the sin of accumulating excessive debt. Finally, Germany is convinced that, in a market economy, the state’s responsibility is to set rules, not to steer the choices of economic actors. In fact, a recent report from the Kiel Institute for the World Economy portrays Germany’s enormous current-account surplus as a reality that policymakers cannot change, and that thus must be accommodated. This ignores the fact, highlighted by a recent study by Guntram B. Wolff, that Germany’s current-account surplus is the result not of aging households’ frenzied desire to save more, but of underinvestment by businesses seeking to resist wage pressure. This presents France with a serious challenge. One option for overcoming German obstinacy would be to pursue a series of small compromises. But, as some critical German observers, such as the Financial Times’ Wolfgang Münchau, have pointed out, this could lead to minimal and even illusory concessions. The alternative would be a showdown that brings the debate to the European public. Perhaps this is what Macron was trying to initiate at Aix-la-Chapelle earlier this month, as he collected from Merkel the Charlemagne Prize for his pro-European efforts. Such a confrontation need not block progress on other issues, such as border security, investments in industries of the future, taxation of US tech giants, and the defense of multilateralism. European integration owes much to France’s Robert Schuman and Germany’s Helmut Kohl, both of whom prioritized strategic European interests (through the European Steel and Coal Community and the eurozone, respectively) over the pursuit of immediate national advantage. Today, Macron is prepared to establish himself as a similar leader, but he needs a reliable German partner willing to challenge ordoliberal rigor in the name of Europe-wide prosperity. Unfortunately, it is not at all clear that he has such a partner in Merkel. Zaki Laïdi, Professor of International Relations at Sciences Po, was an adviser to former French prime minister Manuel Valls. His most recent book is Le reflux de l'Europe. Are our night-time visions a window into the mind or a form of biological housekeeping? Why do we sleep? And when we sleep, why do we dream? Do our nocturnal visions serve any fundamental biological purpose? Despite the fact that we spend about a third of our lives asleep and perhaps a sixth dreaming, scientists can offer no clear answer to these questions after many decades of global research. We do know that without it we would suffer the consequences. “Sleep is undoubtedly an essential life-support system,” says Matthew Walker of the University of California, Berkeley, and author of the bestselling Why We Sleep. All animals with nervous systems sleep. Sleep deprivation causes disease and in extreme cases may be fatal. The desire to understand our dreams is as old as dreams themselves. In ancient times, many leaders saw immense significance in their content, using it to guide their decision-making. Religions have sought divine revelations in dreams. Freudian and Jungian psychoanalysts see dreams as an important window into the mind; the symbolic dream images that Carl Jung listed in the early 20th century are still used by practitioners today. At the other extreme, some researchers see dreaming as a meaningless “epiphenomenon” — an incidental byproduct of the neural information processing that takes place during sleep, particularly during the REM phases. In this view, dreams are no more useful than the waste heat emitted by a lightbulb whose sole purpose is to illuminate. One type of experiment, pioneered by Harvard University, sets volunteers a difficult problem, such as solving a virtual-reality puzzle, and then lets them sleep before tackling it. Participants who report dreams related to the puzzle achieve better results than those who do not. There is also evidence that dreaming helps people to resolve painful emotional experiences. Each of us varies in how much of our dreams we remember on waking. But the benefits of dreams do not depend on our remembering them, says Russell Foster, neuroscience professor at Oxford. “I don’t think dreams are important in our conscious decision-making, because we forget so much of them,” he says. If the content of dreams was directly useful in waking life, the theory goes, evolution would have given us better memories for them. Dreams may remain mysterious, but plausible answers are emerging about some of our multiple biological reasons for sleeping. The ancient origins of sleep lie in the circadian pattern of activity and rest that governs most forms of life on earth. The profound changes in light, temperature and food availability that take place over 24 hours led species to evolve features specialised for optimal performance under either diurnal or nocturnal conditions, but not both. Once a circadian cycle had been established, evolution drove further specialisation, so that essential biological housekeeping functions take place during the animal’s downtime, when the brain is not swamped with incoming sensory information and the body is not devoted to energy-intensive activity. The verified record for staying awake without stimulants is held by Randy Gardner, a Californian high-school student who fended off sleep for just over 11 days in 1964, closely monitored by scientists. Such an experiment would be regarded as unethical today, because of the known risk to health of extreme sleep deprivation. Two very different housekeeping functions are known to operate in the sleeping brain. The more prosaic — discovered in 2012 at the University of Rochester in the US — is a waste-disposal mechanism that clears the brain of toxic proteins and other cellular rubbish arising from cerebral activity. The glymphatic system, as it is known, pumps cerebrospinal fluid through the brain and flushes waste back into the body’s main circulatory system, which takes it into the liver for eventual disposal. Brain cells called glia contract by as much as 60 per cent during sleep, leaving more space between them for the cerebrospinal fluid to wash through. Walker invites us to “think of the buildings of a large city physically shrinking at night, allowing municipal cleaning crews easy access to pick up garbage strewn in the streets, followed by a good pressure-jet treatment of every nook and cranny”. The existence of the glymphatic system may help to explain the observation that inadequate sleep increases the risk of suffering Alzheimer’s disease, Walker says. It gives less time for toxic molecules involved in the disease, such as amyloid and tau proteins, to be cleared from the brain. Another key operation that takes place during sleep is information-processing and memory consolidation — neural activity whose details remain elusive despite many years of scientific study. The two broad categories of sleep that roll through the brain in slow waves during the night, REM and non-REM, both play a role in a complex data-processing dance. A good example of the theories being put forward to make sense of the emerging evidence was published this month by Penny Lewis, a psychology professor at Cardiff University, with international colleagues in the journal Trends in Cognitive Sciences. Their model proposes that the brain organises information into a useful framework during non-REM sleep, while REM helps us to see beyond that framework and make unexpected connections between memories. In non-REM sleep, memories captured by the brain’s hippocampus are replayed there and in the cortex. As we detect similarities between them, the information is laid down in the cortex within a framework based on thematic links. During REM, the cortex is no longer synchronised with the hippocampus and is free to replay the stored information in different combinations. This is facilitated by special brain waves that appear to activate areas of the cortex almost randomly. To illustrate the idea, Lewis gives an example similar to Kekulé’s benzene dream. In 1911, the physicist Ernest Rutherford proposed a structure for atoms, with tiny electrons in orbit around a relatively large nucleus, which was based on planets orbiting the sun. According to Lewis’s theory, Rutherford might have replayed his recent thinking about atoms during REM sleep along with a randomly activated memory of the solar system, enabling him to make a mental connection between them. Unlike Kekulé, he need not have remembered a dream to make the connection. But Lewis admits: “We have been very careful not to talk about dreaming in our paper. Unfortunately for those eager to unlock the mysteries of their dreams, many neuroscientists and psychologists today agree.